You’re on the go, and you want to listen to your favorite music, the latest podcast, or the big game. But, the built-in speakers on your phone can’t quite keep up. Buying a quality Bluetooth enabled speaker is your solution. There are so many out there, though, that shuffling through the masses to find the best rated and reviewed speakerphones can seem like too big a task. When choosing, keep in mind what kind of device you will be connecting to the speakerphone, as some are geared toward specific cell phones. Also consider if you will be searching for something small and easily portable, or if you need a larger speaker to meet your needs. Below are 10 of the best Bluetooth speakerphones available on Amazon in 2018. This gadget allows the user to connect to the My Motospeak App which can read any incoming text messages to you out loud. It doesn’t stop there, though. It also lets you dictate a reply and send it, all hands free. The Roadster will turn on and off automatically as you enter and exit the car, letting the battery live longer. 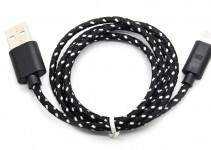 If you want to listen to music, this device has a 2-watt speaker and also connects to your car speakers through FM. Since talking in the car can be a distracting experience, the speaker works well in getting rid of any unwanted background noise. 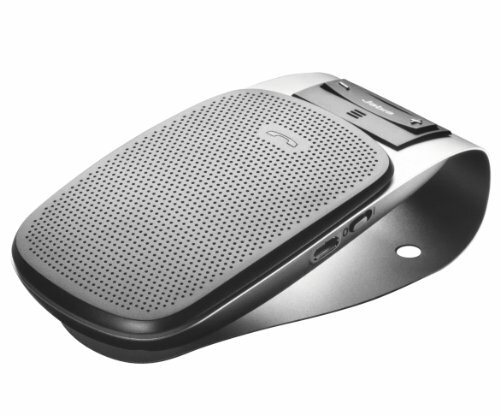 Very similar to the above speakerphone and made by the same company, the Roadster Pro is the first in-car speakerphone to wield 4 separate microphones. Music lovers, and those seeking loud and clear phone calls, will love the volume and clarity of this speaker. This speaker also has an automatic off and on sensor and can last up to 42 days without needing to be recharged. With this device you can connect two phones at the same time and have up to 13 hours worth of talk time. 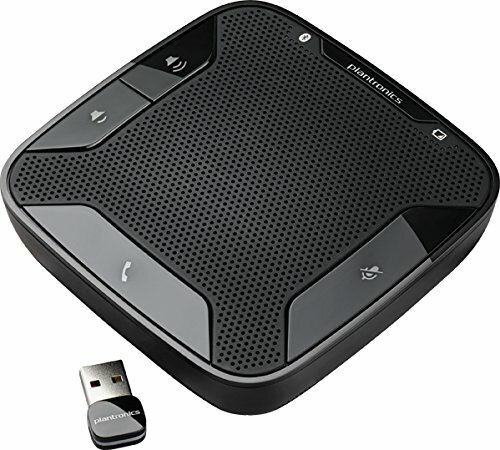 This small black box is a slightly more affordable speakerphone for those on a budget. As long as it is code-less, the Vibe can connect with it. 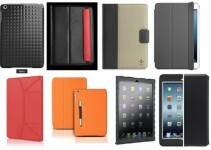 It features a USB charging bank for items like iPhones and iPads, and can last up to 18 hours without needing recharged. An easy to find button on the speaker allows you to connect to incoming calls. Battery life is displayed through LED lights. 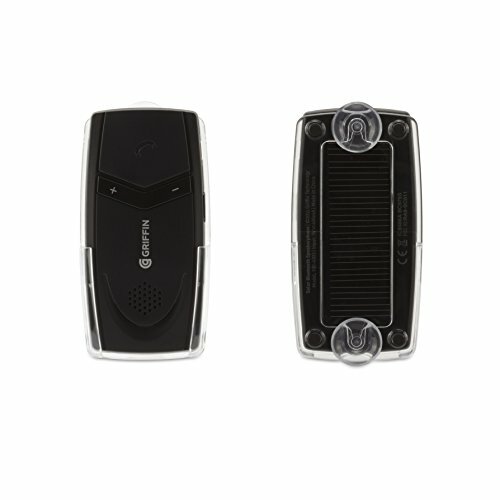 Another in-car speakerphone, this item is a more basic option if you are looking for a car speaker with minimal frills. It comes with a noise-cancellation feature, keeping the sounds of your car to yourself when engaged in phone conversation, and has buttons along the side. Set-up is easy as voice guidance clearly takes you through the steps to connect. Two devices can connect at the same time with the DRIVE and you have the options to reject a call or do a last call redial. 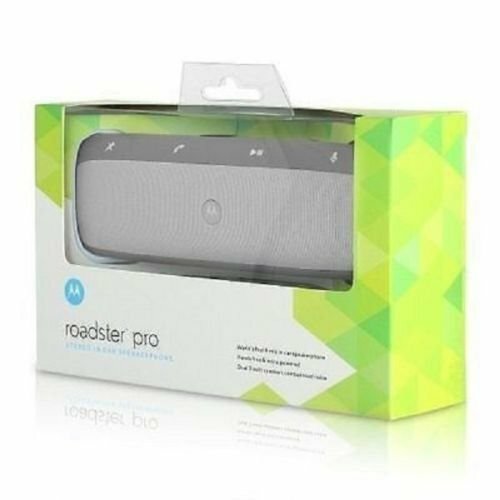 For those who are often on the road and need a device to act as a GPS as well, this speakerphone might be what you’re looking for. Voicing the directions out loud for you, the SuperTooth Crystal is compatible with most cell phones and iPhone/iPad products. Enjoy nearly 20 hours of talking time with only a 3 hour recharging time. With this speaker, you are able to reject incoming calls, redial the last number, and, if your phone supports it, have voice recognition. Without charging, this device can last up to 40 days. It comes in three colors: black, ice blue, and silver. 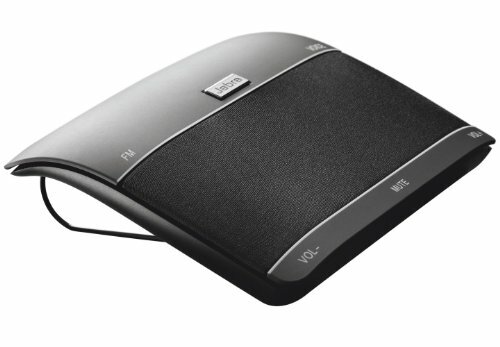 Another more modestly priced option, this speakerphone is completely hands free. Once connected, all you need to do is speak the trigger phrase, “BlueAnt speak to me,” and you are on your way to hearing texts and making calls. While you can listen to music, you can also utilize your phone’s GPS and have directions spoken to you. Android phones have the option of installing an app that allows for help and support. This device can let you talk for up to 20 hours and has a 3-4 hour charging time. Unlike some of the smaller options, the Jabra FREEWAY packs three hefty speakers has a slightly higher price tag. Slipping onto the visor, this speaker allows users to speak commands. With it, you can listen to music, play podcasts, or use your GPS. It senses when you are near, and turns on and off automatically, keeping the up to 40 day battery alive and well. Perhaps the best part about the FREEWAY is the Virtual Surround Sound that comes from it’s three speakers. If you are a music guru that loves clear playback, this could be for you. 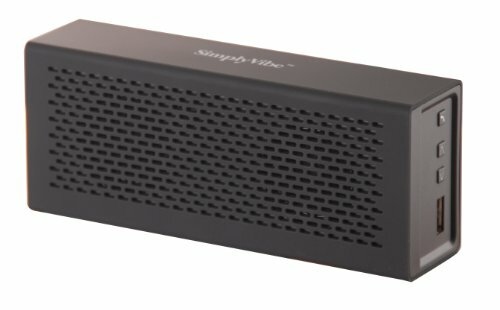 If your phone is A2DP enabled, this speaker will let you listen to music, podcasts, and use your GPS. It also comes with an FM connection option so that you can play your favorite tunes or chat through the car speakers. By working to cancel out any echoing, both you and the person you are speaking to will enjoy clear communication. A large button on the front of the device allows you to easily take or end phone calls. This speaker features voice alerts that notify you if the battery is running low and when you have connected or disconnected. If the battery running out mid-conversation is a big frustration point for you, try the Griffin SmartTalk. It features a built in solar charger to make sure you can talk for as long as you want. This device, like many others, automatically connects and disconnects to your phone. 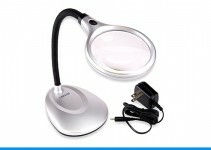 It is able to pair with most smartphones, including the iPhone. If your smartphone is able to do voice command, you can activate this feature to avoid using the buttons on the speaker. 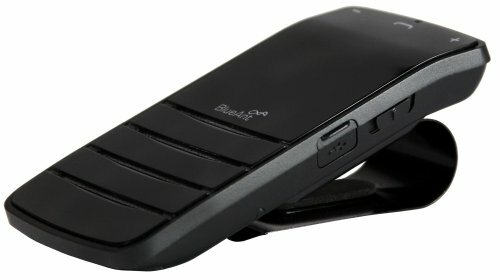 For those seeking an alternative to just smartphone and cellphone Bluetooth speakerphones, there is the Plantronics Calisto, which is made to also work with your computer. 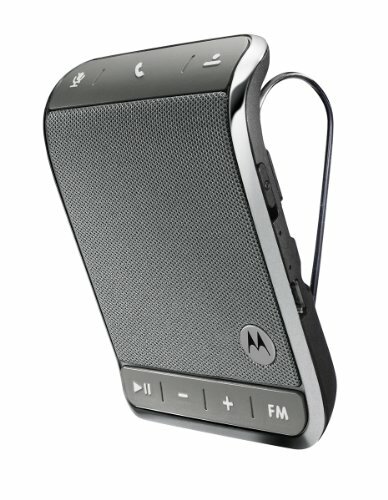 Able to connect with multiple softphones, this speaker can be utilized both on the go or at home. Use it for Skype or for incoming calls. This is also a great option if you are consistently on conference calls at work, and its light weight form makes it easy to carry with you on the go. Not all speakerphones are made equal. Some or intended for use in the car, while others can be taken with you or kept in the house. 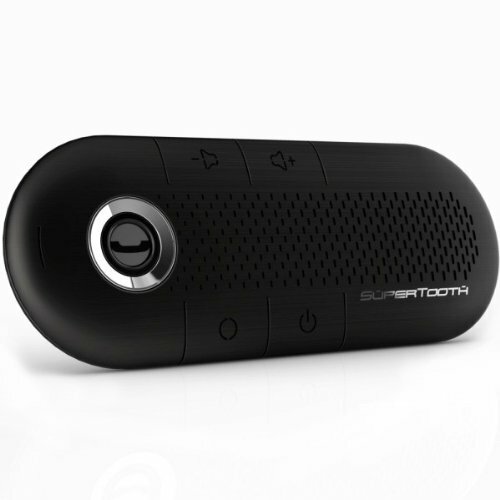 With any of these options, it is possible to find the perfect Bluetooth speakerphone for you.